This is an archived page that may contain outdated or incorrect information. Please visit www.Asheville.com for the latest news, events, and more. As predicted, Democratic Congressional challenger Patsy Keever handily defeated Michael Morgan in the Democratic primary for the 11th Congressional District with over 81% of the vote, 26,202 votes to Morgan’s 6,042 votes. Keever will now face Republican seven-term incumbent, Congressman Charles Taylor in the November 2nd election. Former Vice Mayor Ed Hay, vying for the Democratic nomination for Chairman of the Buncombe County Commissioners, soundly defeated his two Democratic opponents, Don Yelton and Krishna Murphy, garnering over 62% of the vote, with 7,200 votes. Hay will now face incumbent Republican Chairman of the Buncombe County Commissioners Nathan Ramsey in the fall elections. Ramsey was unopposed in the Republican primary. Keever is a native of Western North Carolina, and was a Buncombe County schoolteacher for 25 years. A mother of two and a recent widow after 34 years of marriage, Keever has served as a Buncombe County Commissioner for the past twelve years. Keever’s recent announcement of her campaign fundraising success, during which she raised over $400,000 from over 2,000 individual supporters, has caught the attention of many of the area’s seasoned politicos. Keever has received endorsements from top WNC Democratic elected officials, including Asheville Mayor Charles Worley, Buncombe County commissioners Bill Stanley, David Young, and David Gantt, and NC State Senator Martin Nesbitt. In the Republican primary for the four Buncombe County Commissioners seats, Mark Crawford received the most votes with 4,319, followed by Mike Harrison with 3,655, Mike Morgan with 3,581 and Bill Reynolds with 3,394. Peter Dawes, receiving only 2,585 votes was eliminated. The top four finishers advance to the fall elections. On the Democratic side for the four Buncombe County Commissioners seats, the three Democratic incumbents up for re-election, Bill Stanley, David Gantt and David Young all advanced to the November 2nd election. 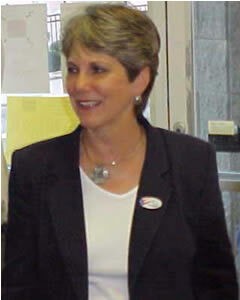 Carol Weir Peterson received 8,759 votes to also advance to face the Republican ticket in the fall. David Gantt received the most votes with 9,748.